Seventy-six years ago, a French General called Charles de Gaulle gave a historical speech on BBC radio from London, where he had regrouped with a small number of like minded individuals who wanted to continue to fight, despite the fact that France had surrendered to the Germans. Considered as the starting point of French resistance to the German occupation, the Appeal of 18 June was a call to fight which became one of the most symbolic speeches in French history. 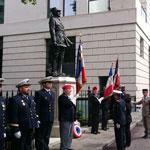 Every year, on 18 June, the French community in London celebrates the famous radio broadcast. 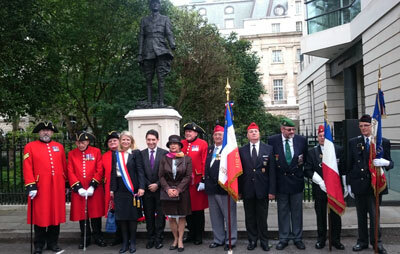 About sixty people gathered on Saturday around Charles de Gaulle’s statue in Carlton Gardens. Among the English and French representatives and military personnel, the Senator representing French Nationals living abroad Olivier Cadic and Joëlle Garriaud-Maylam listened with great respect to the Ambassador Sylvie Bermann paying tribute to this historic moment of the Second World War. 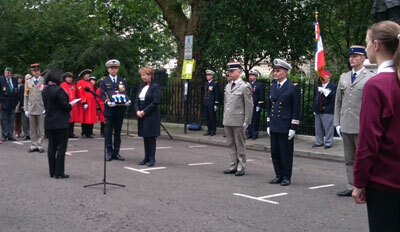 She then bestowed the Legion d’Honneur upon the French Consul to the UK, Madame Sylvaine Carta-Le Vert. Also honoured with the same award were Lieutenant Colonel Rivette, Captain of the frigate Pellerin, and the Squadron Leader Humbert. A schoolgirl from the Lycée Français then read Charles de Gaulle’s radio broadcast. A minute silence, in honour of the fallen, followed her reading of the famous last sentence “Whatever happens, the flame of French resistance must not and shall not die”. After singing La Marseillaise, the Ambassador and Senators laid wreaths at the base of the General’s statue. 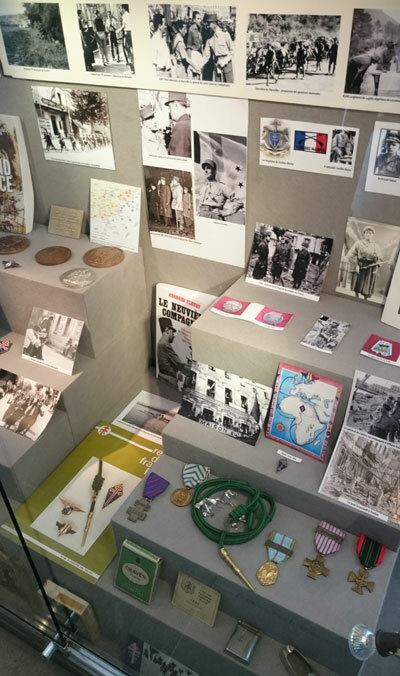 The audience was invited to continue the celebration at the Lycée Français Charles de Gaulle in South Kensington and to inaugurate a showcase commemorating the landing in Provence on 15 August 1944, also called Operation Dragoon. The display was put together by Brigitte Williams, from the Fondation de la France Libre, in collaboration with the French Consulate. Mrs Williams was particularly moved when she showed her work. The ceremony ended with children from the Lycée singing the Chant des Partisans, followed by the Marseillaise.